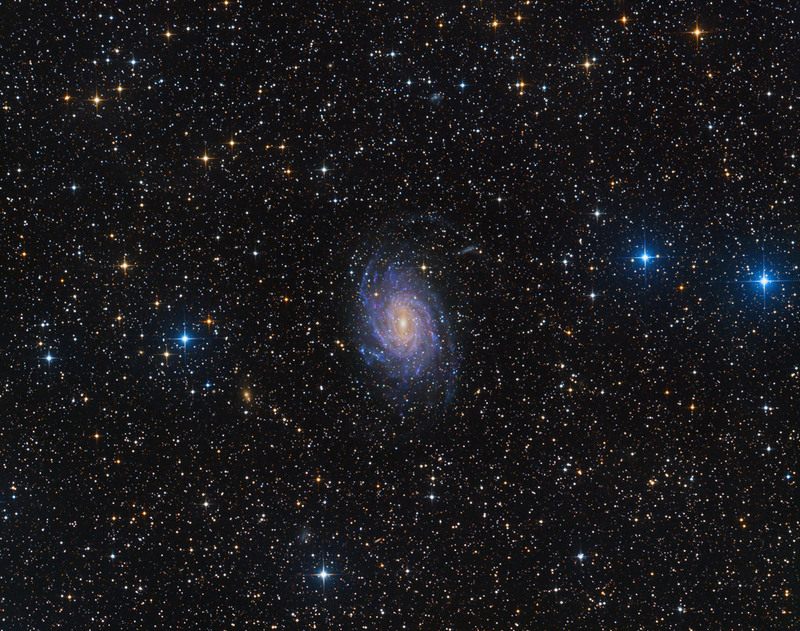 NGC 6744 is a spiral galaxy about 30 million light-years away in the constellation Pavo. 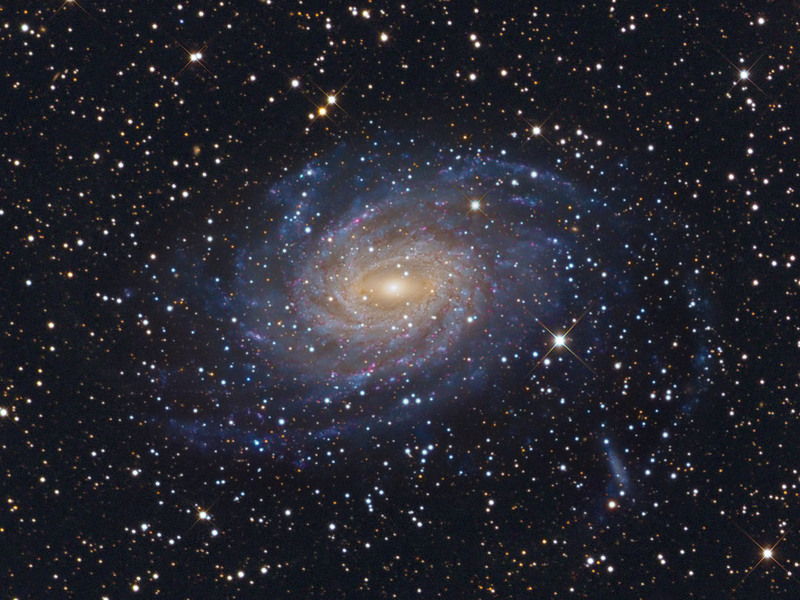 It is one of the most Milky Way-like spiral galaxies in our immediate vicinity, with flocculent (fluffy) arms and an elongated core. With a diameter of about 150000 l.y. it is considerably bigger than our Milky Way. 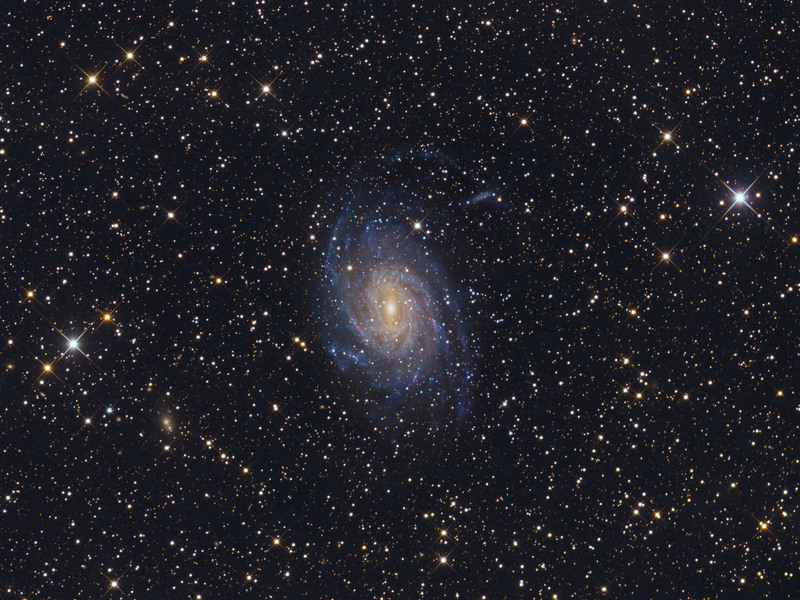 It also has at least one distorted companion galaxy (NGC 6744A, which is visible on this image at 2 o'clock from the galaxy core) superficially similar to one of the Magellanic Clouds. In 2005 there was discovered a supernova. The small elliptical Galaxy at the left bottom is IC 4823.